With a design that looks as though it was plucked from nature, this Japan-made soy sauce dish is perfect for holding any sauces or condiments for your meal. 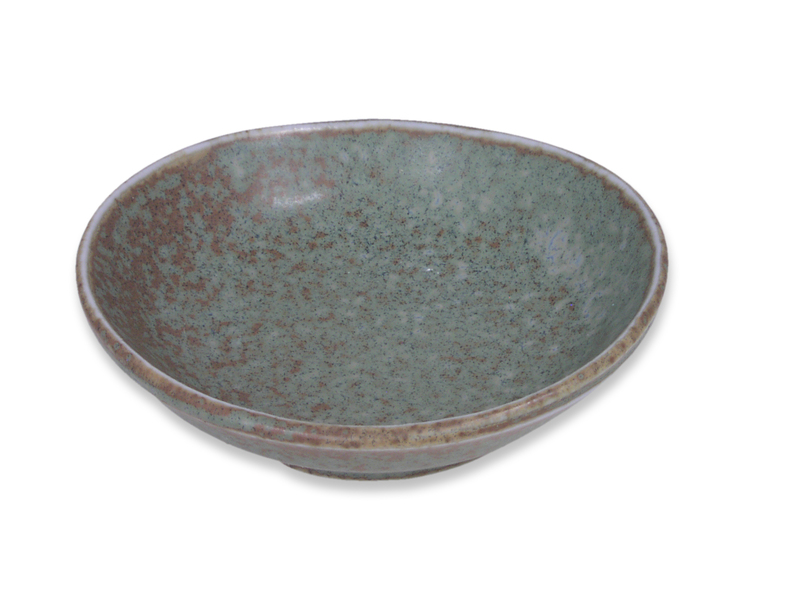 Similar to the other items in the Moss Green Collection, this small dish’s earthen charm is unrivaled, as its uneven, curved rim gives it an organic and unfiltered aura. This ceramic soy sauce dish gets its unique quality from its variety of colors; a pale green dominates the dish and is meant to be reminiscent of Spanish moss. Speckles of sandy brown and clear blue evoke the feeling of moss in the forest growing by the waterside. With a smooth, matte texture, the Japanese soy sauce dish has raised edges to prevent spillage and is also microwave and dishwasher safe, making it a convenient choice for your meals. If you aren’t looking for a sauce dish but love the natural feel of this soy sauce dish, consider using it to hold small office supplies like staples, thumbtacks, or paper clips. Small pieces of jewelry can also be put into this little dish, which will definitely be accentuated by the dish’s pale colors. With its variety of uses and alluring design, this sauce dish is the perfect addition to your home.